Looking for shelving systems? Our name says it all, “Shelf Master”. 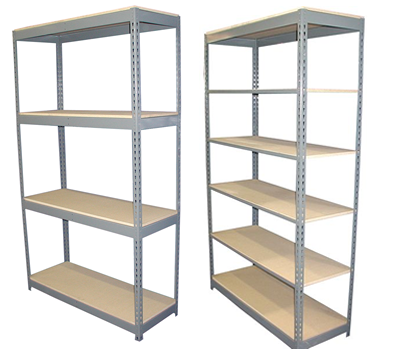 We offer a full range of shelving systems and types such as; bolt-less shelving, industrial steel shelving (open and closed), and a full line of wire shelving. Whether you need a single unit or a total shelving system, we have the solution to your shelving needs. Boltless Shelving, is the preferred in the industry. The boltless storage systems are designed to store bulk and odd shaped items. The Boltless shelving units can be designed to have uninterrupted spans of 96′ without the need for back or side sway braces. 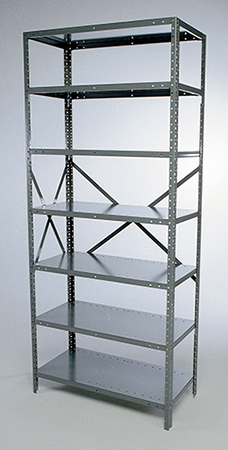 The Boltless Shelving units combine diverse storage capabilities and cost effective pricing. The constant need for increased storage drives some companies to expand their facilities to multiple warehouse locations, resulting in excessive operations costs per square foot of storage. Installing cost effective steel shelving storage solutions by Western Pacific Storage is the ideal solution. 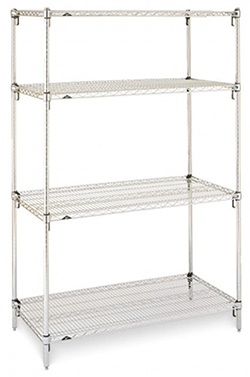 Wire Shelving storage systems offer lifelong durability. The strength of steel and a life time warranty against rust and corrosion.